As we move towards the end of 2018, it seems smartphone brands want to finish it with a bang. Perhaps that’s why we can expect a slew of launches in the month of December. So if you are looking to buy a new handset in time for Christmas, we have curated all the devices that are expected to launch this month in India. The ASUS ZenFone Max Pro M1 was launched earlier this year. The Max Pro M1 was an instant hit thanks to features like the 5,000mAh battery. Now, ASUS is all set to launch the ZenFone Max Pro M2 in India. The ZenFone Max Pro M2 is expected to come equipped with 6-inch FHD+ display and is likely to be powered by Snapdragon 660. That apart, ASUS is also expected to add a triple rear camera setup for the Max Pro M2. On the storage front, the upcoming Max Pro M2 will come in two variants, 32GB and 64GB. Thankfully, ASUS has decided to retain the 5,000mAh battery pack alongside a rear-mounted fingerprint sensor and a glass back. If you are planning to buy a smartphone within Rs 15,000 then hold your horses for the Max Pro M2. 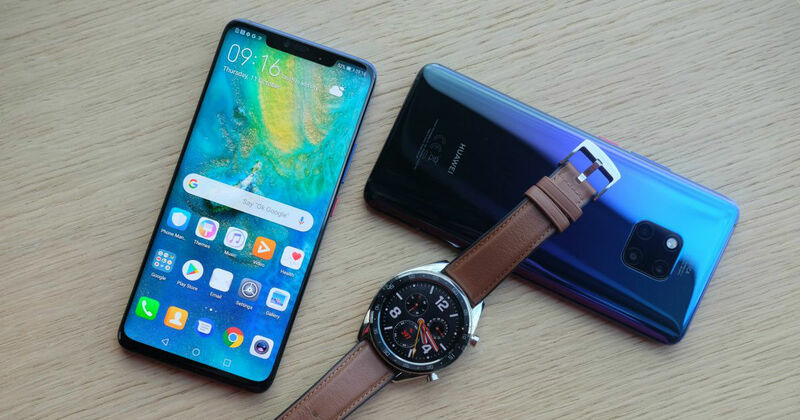 The Huawei Mate 20 Pro features a 6.39-inch FHD+ display with Corning Gorilla Glass. Under the hood, the device is powered by Kirin 980 SoC and is paired with 6GB/8GB of RAM. As far as camera options are concerned, the Mate 20 Pro comes with a triple rear camera setup that is made up of a 40MP wide-angle lens, 20MP ultrawide lens, and 8MP telephoto lens. The selfie camera on the Mate 20 pro is a 24MP sensor with f/2.0 aperture. The phone is powered by a staggering 4,300mAh battery and supports wireless charging. The Realme U1 (review) is a selfie-centric smartphone with a 25MP front camera. The camera offers features like AI Beauty+ mode and smart group selfie mode. The rear cameras come in a 13MP+2MP setup with portrait Lighting and AI Scene Detection. The Realme U1 is also the first smartphone in the world to be powered by the Helio P70 SoC. The device sports a 6.3-inch display with a waterdrop notch. Backed by a 3,500mAh battery, the phone will be available in 32GB and 64GB variants. HMD Global has just launched the Nokia 7.1 (first impressions) in India, which is set to go on sale on December 7th. But that’s not the only device the brand will be released in the month of December. The company is expected to unveil the Nokia 8.1 in the country as well, which was launched as the Nokia X7 in China. The 8.1 comes equipped with a 6.18-inch FHD+ display and is powered by the Snapdragon 710 chipset, mated to 4GB / 6GB of RAM. On the storage front, the device offers 64GB / 128GB of internal storage. In the camera department, the Nokia 8.1 sports a pair of Zeiss-certified cameras consisting of 12MP + 13MP sensors. Meanwhile, the front camera on the 7.1 is a 20MP unit. Furthermore, the device is fuelled by a 3,500mAh battery and can be expected to be available in Dark Blue, Night Red, Magic Night Silver and Night Black colour options. The OPPO R17 Pro comes equipped with a 6.4-inch FHD+ display with a waterdrop notch and Corning Gorilla Glass 6. Under the hood, the device is powered by Qualcomm Snapdragon 710 silicon paired with 8GB of RAM. The triple rear camera module on the R17 Pro is made up of a 12MP shooter with a dual aperture of f/1.5 and f/2.4, a 20MP snapper with f/2.6 aperture and a 3D depth sensor. For selfies, the front-facing camera is a 25-megapixel unit. Juicing up the phone is a 3,700mAh battery with VOOC Flash Charge technology. The R17 Pro is all set to be launched in India on December 4th. MEIZU seems to have the answer for the OnePlus 6T (review) in the form of the 16TH, which also features an in-display fingerprint sensor. The latest device from MEIZU comes equipped with a 6-inch Super AMOLED display with FHD+ resolution and 18:9 aspect ratio. Powering the handset is the Qualcomm Snapdragon 845 chip paired with 6GB / 8GB of RAM and 128GB of internal storage. As far as the cameras are concerned, the MEIZU 16TH comes with a dual rear camera setup that is made up of 20MP and 12MP sensors. On the front, the phone comes fitted with a 20MP selfie camera. Fuelling the MEIZU 16TH is a 3,010mAh battery, and if teasers are to be believed, the device will also be available in white colour. Alongwith its flagship, MEIZU will also be launching its budget-centric MEIZU 6T.